What would the holidays be without endless website and magazine Christmas gift lists to send Santa? Since we take the road less traveled, we prefer to strategically slip our off-road adventure Christmas list into the pages of Hula Betty‘s Cosmo. We also like to drop subtle reminders to her about how all our off-road adventure skills and gear will save lives when a meteor the size of Kansas comes hurdling towards earth and we need to escape into the mountains to avoid Armageddon. In case Bruce Willis fails to save the planet, we are prepared. It’s not like Hula Betty took the hint last year, but in keeping with tradition here is our new Christmas wish list. Pelican Flex-Neck LED flashlight – This light has a magnetic base which allows the lite to attach to metal surfaces and 15″ flexible neck that directs bright LED light in any direction. 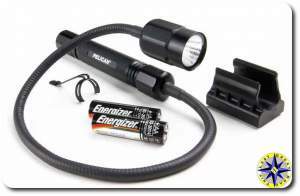 Map reading, working under the hood, or helping you rummage through a duffel on a dark and stormy night this light will deliver 7 hours of burn time on two AA batteries. 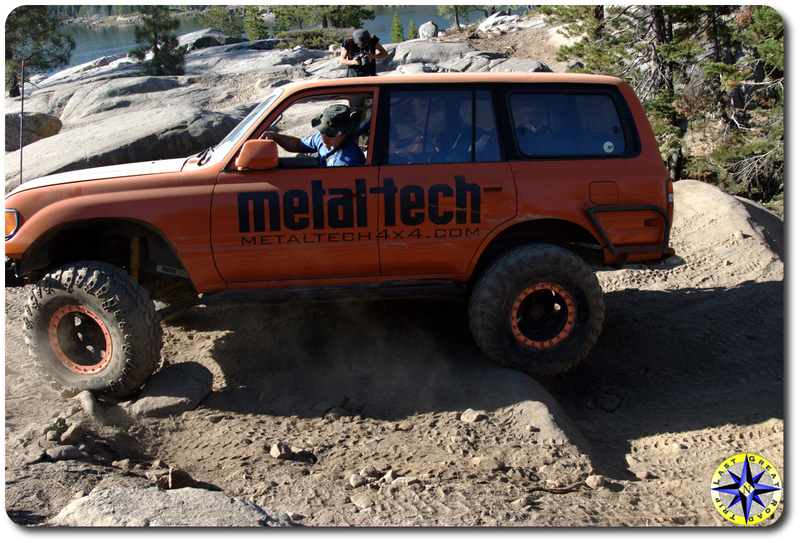 Winch line extension – Getting unstuck can sometimes mean running a line out beyond the length of your winch’s capacity. Having an extra 50 foot extension handy can be the difference between continuing on with your adventure and a long hike out. LuxuryLite cot – When your adventure keeps you on the trail for days and nights on end, a good night’s rest is a must. While the young Turks can sleep on the ground, old bulls know the value of a cot that keeps your tired bones off the rocks and supports you head to toe. The LuxuryLite cot is lite weight and compact enough for anyone to bring along regardless of how you travel. This one really goes out to our Dual sport bike friends where space is at a premium. 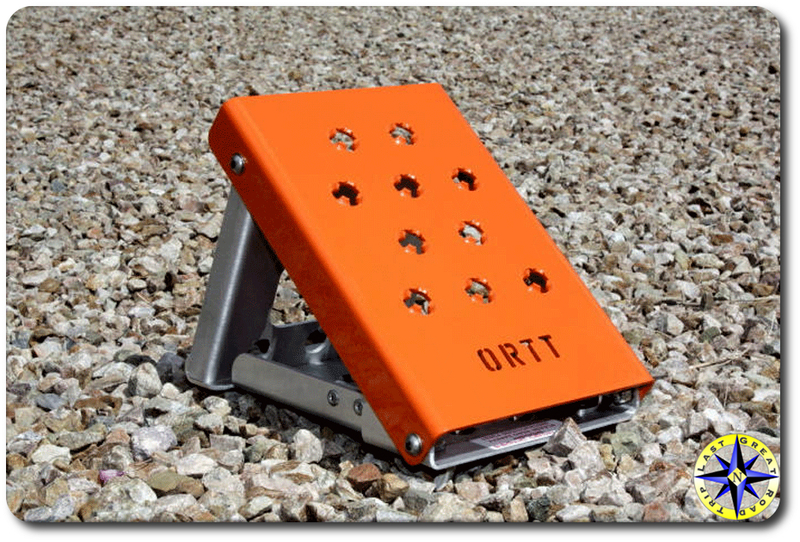 Off-road Trail Tools wheel chocks – When gravity isn’t your friend, you’ll want a good set of wheel chocks to keep your rig stead fast on pavement or dirt. Unlike most others, these chocks fold up into a very compact form factor to stow away neatly and then quickly deliver stability when needed on just about any surface. Contribution to BlueRibbon Coalition – Doing something for others is what Christmas is suppose to be about. The BlueRibbon Coalition (BRC) champions responsible use of public lands and waters for the benefit of all recreationists. When others are trying to shut out motorized use of public lands, the BRC is working hard to secure, protect, and expand outdoor recreation access and use, for all. 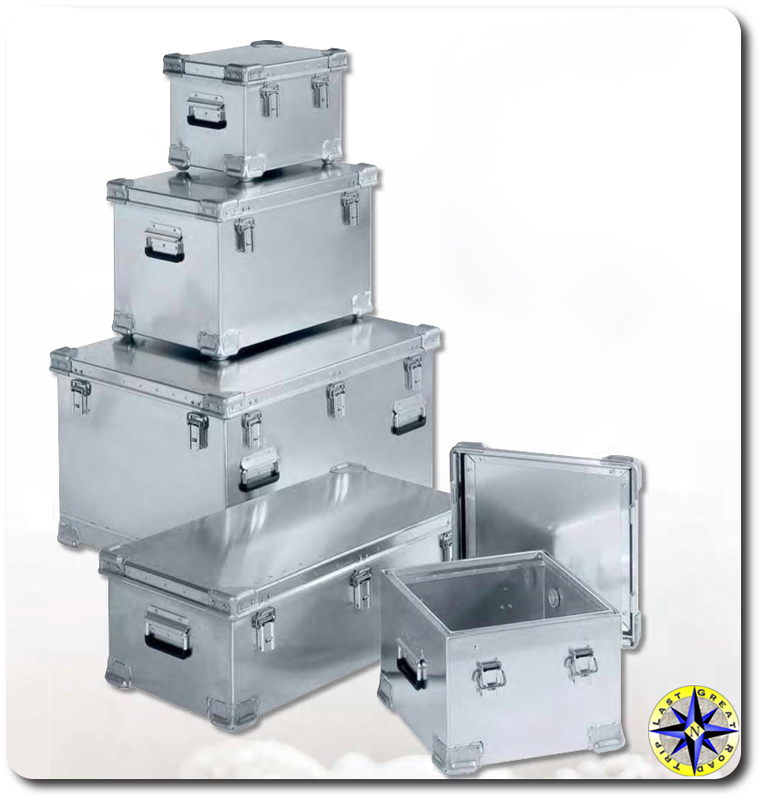 Zarges storage case – Being self sufficient on an off-road adventure requires a lot of gear that you need to store. Zarges aluminum containers allow you to organize and transport food, recovery gear, cameras, kitchen equipment, first aid supplies, clothing and everything else safely out of the elements. Their design, protects your gear from dirt, rain and grim when its traveling on the roof or pulled down next to your camp overnight for easy access in the morning. Subscription to Overland Journal – If you’ve read our website top to bottom (you did right) and you’re still looking for inspiration for your next adventure, this is the magazine for you. The journal is about exploration. The journal covers long weekend trips, gear reviews and 10,000-mile expeditions across every continent in the world. And as a bonus the photographs filling their pages are worthy of placement in the finest main street galleries. 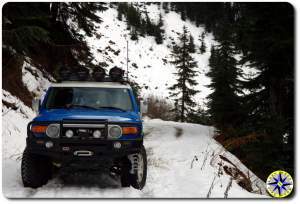 Magnetic spice tins – Meals on an off-road adventure are more than just calories. A good meal around a camp fire at the end of a day exploring is the thing culinary dreams are made of. A dash of Indian cumin, a pinch of pink sea salt, a bay leaf, a measure of rosemary, sage and just a hint of Madagascar cinnamon will turn any meal into a gourmet dining experience. 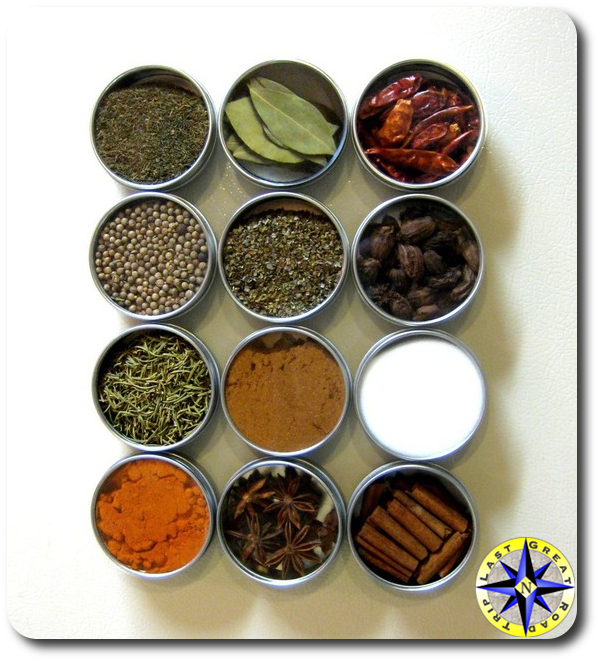 Magnetic tins keep all those spices securely at hand. Primus Power Ignitor 3 – A good lighter is a big advantage when it comes to starting a fire, camp stove or indulging in fine a cigar after a long day on the trail. This lighter burns at 1300°C and is as close as you can get to weather proof. And while the Primus ignitor will help you get your burn on. You might want to ask for water proof matches and a flint stick for back up. Not sure whether I’ve been naughty or nice this year but come December 25th (Christmas morning, not Christmas eve) we’ll find out. And regardless of what is under the tree, I’ve already received my present this year. Back in January, Hula Betty didn’t blink an eye when I asked to go on our Baja Off-Road Adventure… She just said “be careful, have fun and comeback in one piece.” You can’t ask for a better present than that.